A reimbursement of 100% of the expense paid to attend an exercise class such as Zumba, Yoga, Pilates, Jazzercise, etc., to a maximum monthly reimbursement of $60. Personal Trainer Reimbursement. Employees and spouses are eligible to be reimbursed for personal visits with a personal trainer. The maximum reimbursement per year is $200 per employee and $200 per year for his/her spouse. FitBit Zip™: Employees are eligible to receive a FitBit Zip™ to help support their fitness goals. Smoking Cessation Reimbursement: Employees and spouses who smoke are eligible for reimbursement of smoking cessation products. These products include Chantix, nicotine patch, nicotine gum, and laser therapy. Weight Loss Award: Employees are eligible to receive a $100 award for joining a weight loss program such as Weight Watchers, Jenny Craig, etc. Employees may also qualify for this award by meeting with and getting weighed by our Health Coach a minimum of 4 times during the year. Health Coach: Employees are eligible to spend time each month with a Health Coach. The Health Coach services include: taking your blood pressure, determining your hydration levels, weight, body fat composition, etc., in addition to providing you with support and information to meet your wellness goals. Lunch-n-Learn Programs: Employees are eligible to attend quarterly lunch-n-learn programs hosted in-house on a variety of wellness topics. Flu Vaccine: The flu vaccine clinic is held in-house each year. Raffle Prizes: Raffle prizes are awarded for participation in the wellness programs. 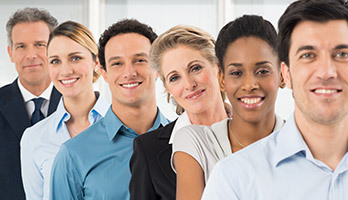 Employee Assistance Program (“EAP”): An EAP is available to all employees and their immediate families through Unum – our long term disability insurance provider. The EAP is a one-stop resource that offers consultation, information, and personalized community referrals, available 24 hours a day, 7 days a week for our employees and their immediate family members. In addition, Buckingham has been honored with the American Heart Association’s FitFriendly Award (Gold Level) for its 5th year in a row. The Association recognizes employers as Fit-Friendly worksites for creating a culture of health in the workplace through progressive leadership and employee wellness initiatives. Buckingham has also been awarded the Healthy Ohio Healthy Worksite Silver Award for the past 2 years from the Ohio Department of Health and the Healthy Ohio Business Council. These awards recognize Ohio employers who demonstrate a commitment to employee wellness through comprehensive worksite health promotion and wellness programs.